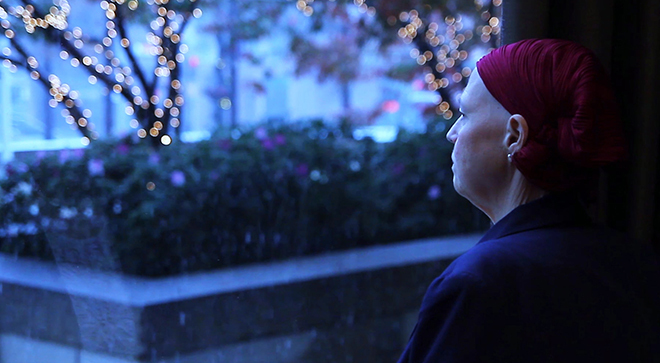 For more than 20 years, Barbara Abernathy, Ph.D., has been living with cancer and its aftermath. She was diagnosed with a rare type of blood cancer collectively known as myeloproliferative neoplasms (MPNs), which transitioned into acute myeloid leukemia. In 2013, she underwent a stem cell transplantation — a lifesaving gift from a young man in Germany. Abernathy, a licensed mental health counselor, is grateful to be alive, but that doesn’t mean she hasn’t had her fair share of bad days. She lost her hair and, temporarily, her vision and sense of taste. Her transplant and intense chemotherapy took a toll on her bone health, and she broke her pelvis, back and ribs. After each knockdown, she managed to get back up. Now, as CEO of the Pediatric Oncology Support Team Inc. in West Palm Beach, Florida, Abernathy works daily to counsel children with cancer and their families and advocate for patients with MPNs. During an interview with Heal, Abernathy opened up about the lasting challenges of survivorship, her thoughts on the term “survivor” and why everyone needs to back away from her scarves. Which challenges don’t get enough attention? For me, when people ask how you’re doing and you say that you’re in remission, that becomes the end of the conversation. They think there is no more to the story. It’s like, “Oh, you beat cancer. Yay!” They don’t understand that a whole world of challenges goes along with it. When I had my bone marrow transplant, I remember my health care team saying, “You’re trading a terminal disease for a chronic disease.” I think that the world doesn’t get that. That’s not an understanding that people have. But not everyone has that experience. Some people may get cancer, have treatment and don’t have any side effects. Cancer becomes a temporary interruption. For others, it changes the trajectory of their lives. I think there needs to be a space in our universe to talk about people for whom survivorship becomes a chronic illness. You describe survivorship as isolating. Can you expand upon this? Survivors think that “it’s only me.” They think other people have moved on and everything is rosy. So, there is a sense of shame. If we open the conversation to let people know that they aren’t the only ones, then it will free them up to have the conversation to educate their families and co-workers. Survivorship can mean living with a chronic cancer. At the clinic, there are kids who have chronic myeloid leukemia who will be on oral medications the rest of their lives. But there are people who will say, “Well, you look good.” They don’t understand the weight of what we walk around with every day. Can you recall a particular time when someone made an insensitive comment to you? I didn’t have taste buds for a year. That was really hard. I couldn’t eat foods that I enjoyed, and people would say to me, “Just eat other stuff.” On my birthday, I wanted a birthday cake. It was a big deal to me. When my birthday came, I couldn’t taste the birthday cake. It actually tasted horrible because my taste buds were so upside down. On social media, the messages I got from people were to “focus on the positive.” But on that day, I felt really bad for myself that I couldn’t enjoy my birthday cake. It was a little thing, but to me, it was a metaphor for their lack of understanding of the limitations of my life. What day-to-day challenges are you still dealing with? I have neuropathy in my feet and legs. Because of the intense chemotherapy that I received, my hair still hasn’t grown back. I wear scarves and people say, “Why don’t you just wear a wig?” Everybody has an opinion on what I should do with my hair. I feel embarrassed and ashamed to have to explain what is happening. I shouldn’t have to explain to you what is going on. You should just support me. My oncologist even said to me, “When are you going to get that your hair is not coming back and just go get a wig?” I don’t see that oncologist anymore. As a woman, it’s very important. I’m identified by my scarves. I make sure they are colorful and that they match my outfit. I tried the wigs. They didn’t suit me. I think people feel that they must solve your problems. You can’t solve my problem. Be there. Be supportive. And, most importantly, listen. It’s not a large part of the discussion that we have with the kids that I work with. Two years after treatment, the kids start going to survivorship clinic. It’s a word that we don’t throw around after diagnosis. It feels so contrived. People are still dealing with the reality of being diagnosed with cancer, and they don’t know that they’re going to survive. Claiming that is not empowering to people, particularly in early stage disease. I wish there was a word in between “patient” and “survivor” that could better capture the experience. “Patient” feels so disempowering, almost like having your identity stripped from you. “Survivor” feels like arms raised, crossing the finish line. There is something in between: the pilgrimage. I did my dissertation on cancer identity. What was really telling was that people who embraced the survivor identity were more of a homogenous group, and for them, that was a positive. For people who didn’t embrace it, it was for one of two reasons: Either it didn’t create a big enough ripple in their universe for them to feel like they had earned the title or people were so angry about cancer that they didn’t want to give it any power in their lives by calling themselves cancer survivors. Cancer leaves a footprint, and the footprint for every person is different. It may be physical, emotional or spiritual. If people in our lives understood just that, it would be so helpful. Until we allow people to grieve what they have lost, they don’t move forward. Grieving is not only OK, it’s perfectly normal. If someone loses a beloved part of their identity, it’s helpful to explore lost parts of their identity so they can feel whole.